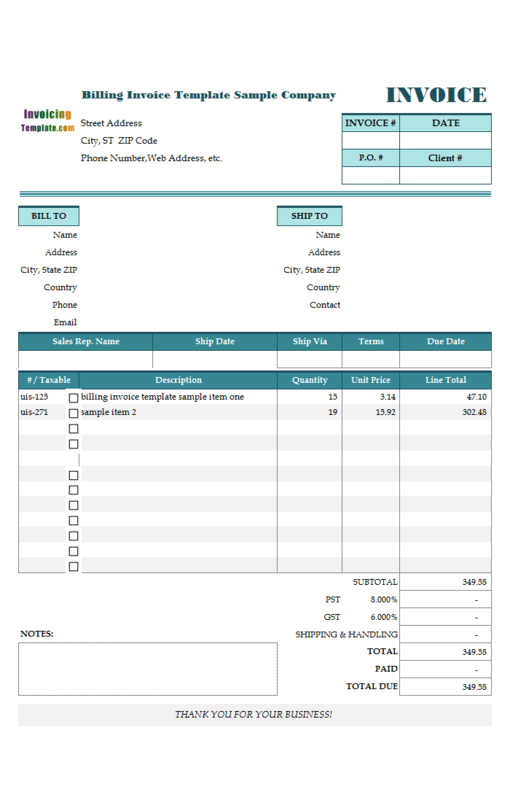 The free billing statement template included in each invoice template here on InvoicingTemplate.com could be filled by Invoice Manager for Excel (namely Uniform Invoice Software). Simply click the "New Report" button on the top of the "Customer Statement" report worksheet, or click the "New Report" button on the task pane, you'll see the dialog box that allows you to specify various options for generating statements, including date range (start date and end date), where to save the reports / statements, and whom you want to generate the billing statements for. 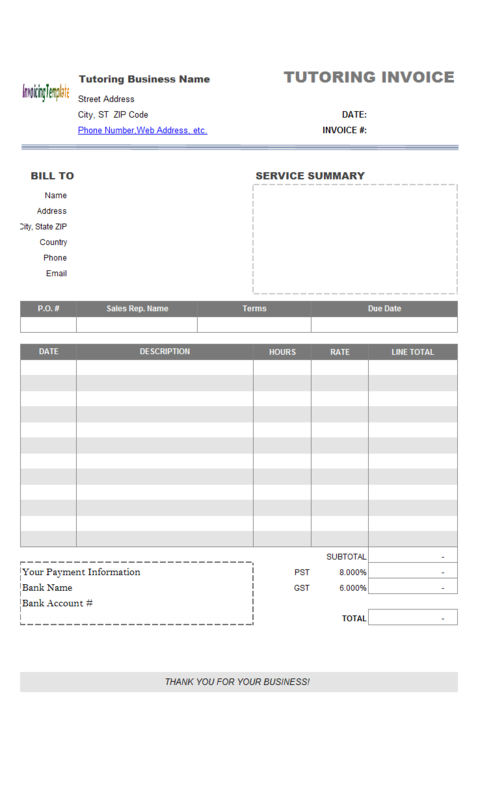 Billing Statement Template is a sub-topic of . 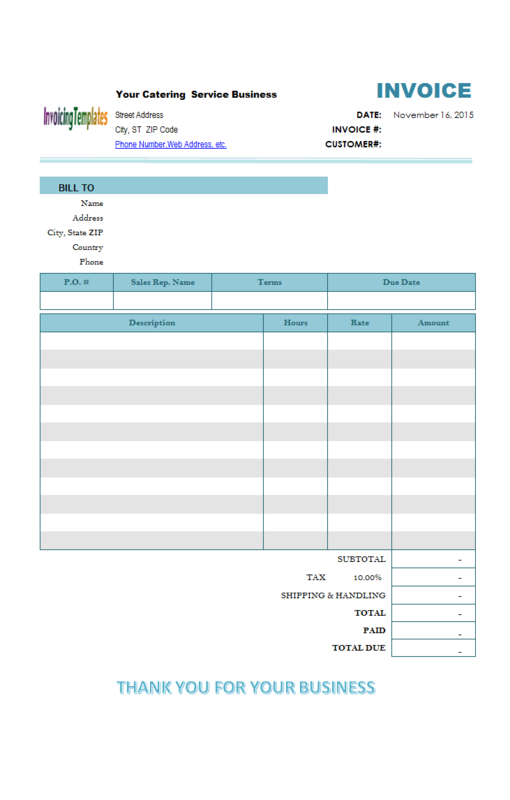 Here are our templates closely related to Billing Statement Template. The usual "Bill To" section is now renamed to "Agency". 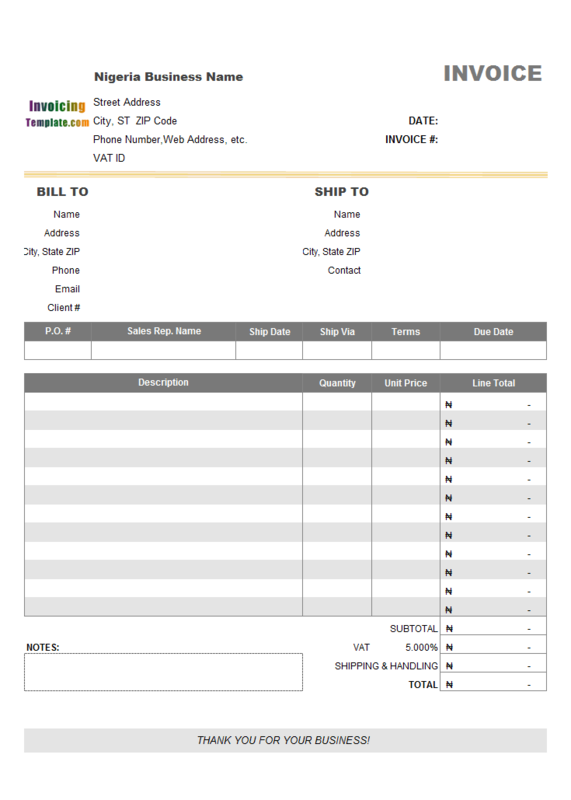 The labels in this section include "Account Number", "Name", "Department", "Contact or Operator", "Vehicle Number" - the later 3 fields are custom fields that are not defined in the default Access database file shipped with Invoice Manager for Excel (namely Uniform Invoice Software). 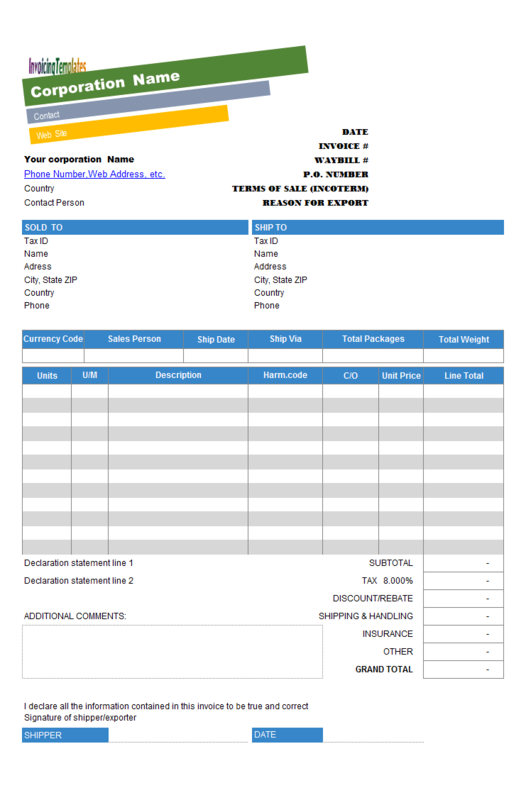 The directly base template of this form design is the default template (also called standard template) shipped with Invoice Manager for Excel (namely Uniform Invoice Software) v 5.23. 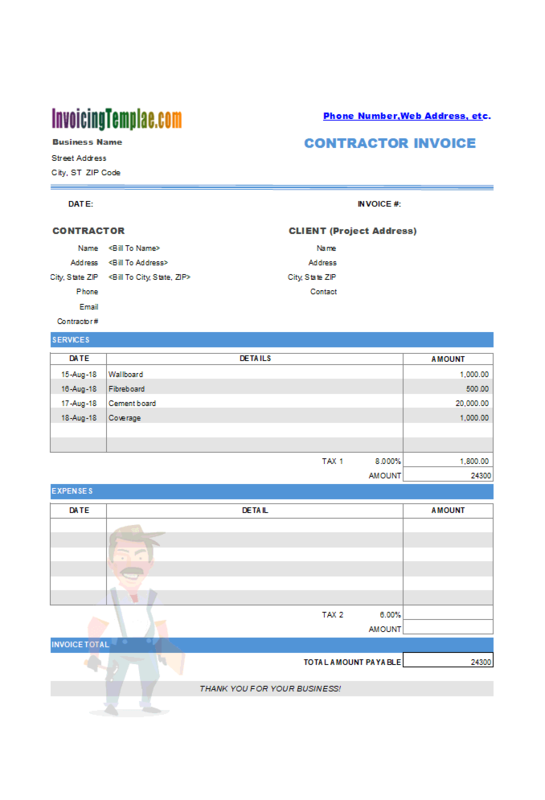 This sample invoicing template offered to your for free by InvoicingTemplate.com is based on c8004 Welding And Fabrication Service Invoice Template. 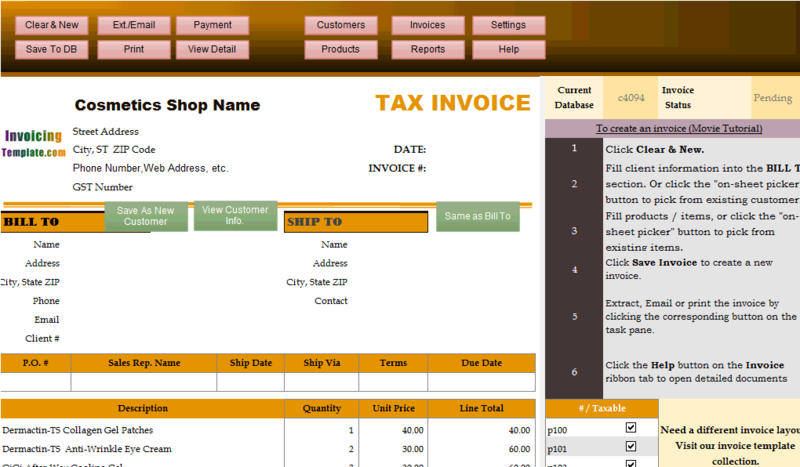 It was created by moving back the "Ship To section" to the printable form and deleting the "Type" column. 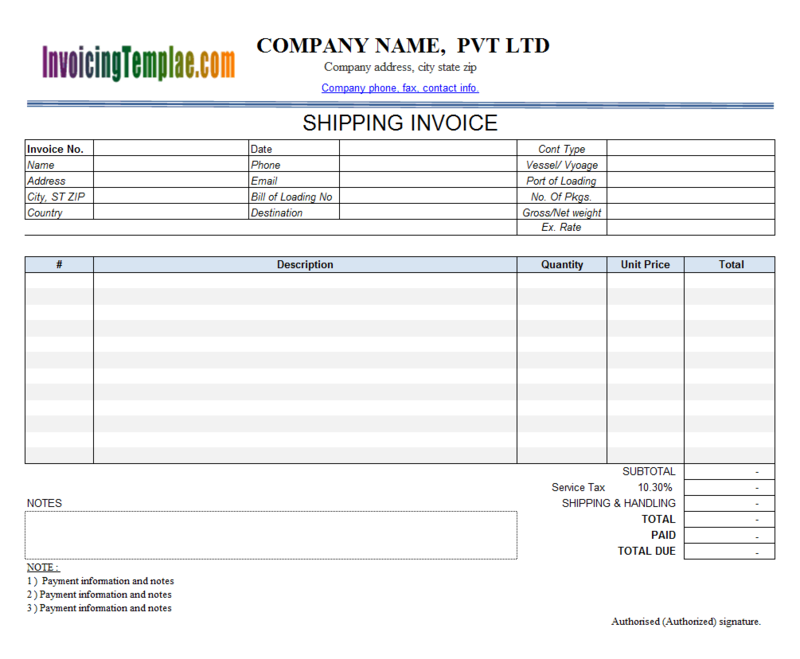 By adding back the "Ship To" section (you can easily modify it to be titled with job location or job place), so this template is categorized as sales invoice template here on InvoicingTemplate.com. 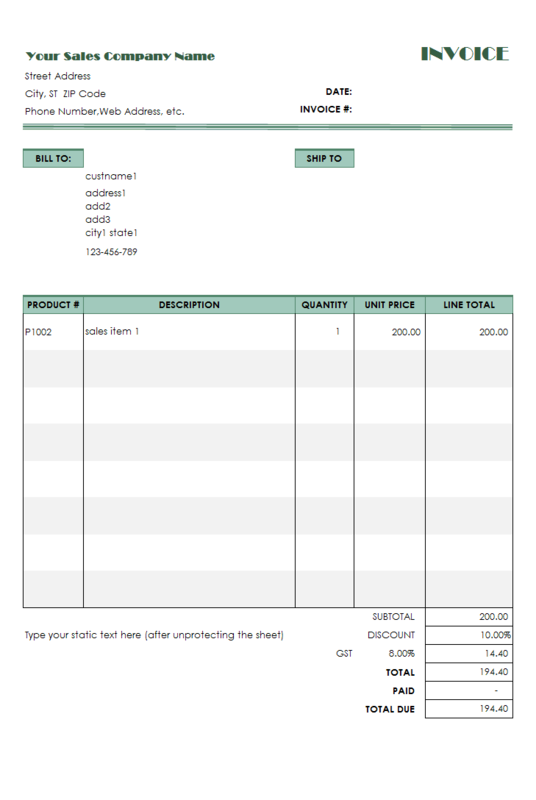 By removing the "Type" column from the invoice detail section, you have more fillable space in the invoice descriptions. 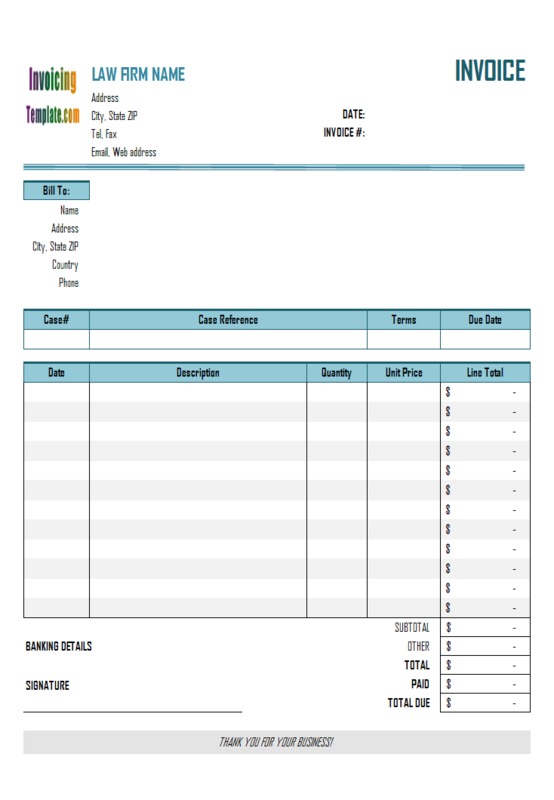 Note that, if you are running a welding and steel business, you may like to take a look at c8003 Welding Invoice Template, which includes the features to automatically calculate welding prices and costs. 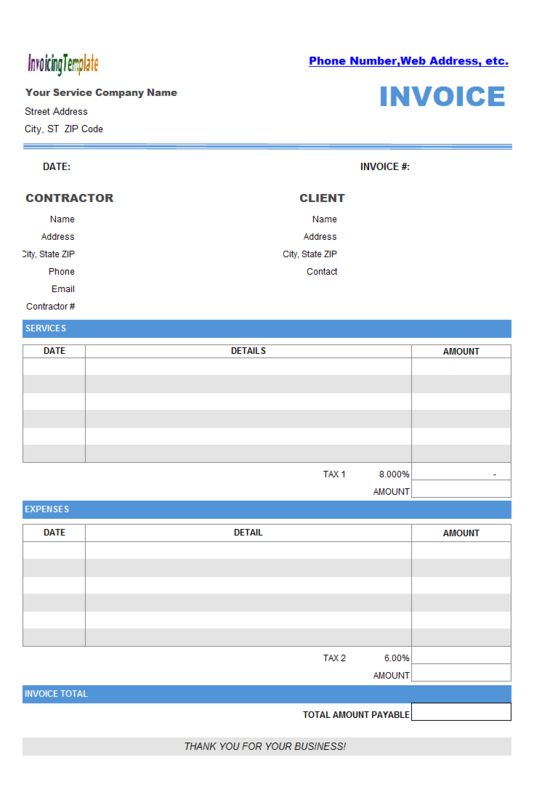 Or if you need more fillable space on your welding invoice form, this is especially true when you are a mobile welder, see c5064 Simple Welding Invoice Template, which contains only 5 columns. 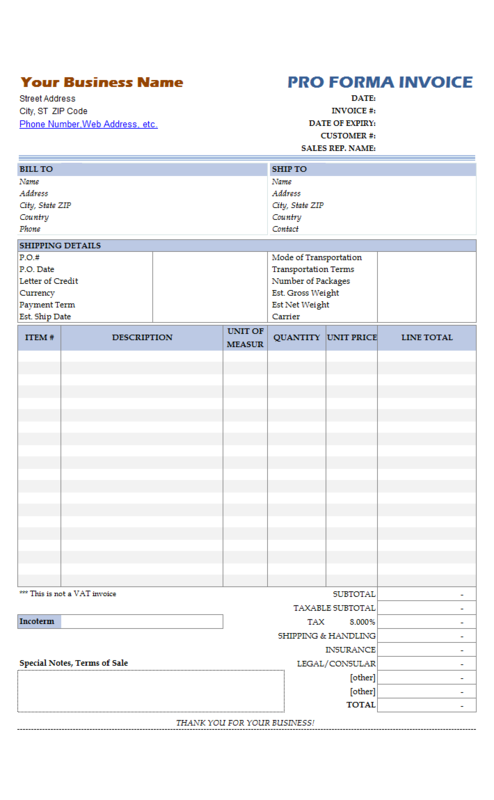 With c6017 Welding / Fabrication Tax Invoice, we moved the Dimension column out of the printable area, and moved in the taxable column so that it is included in the printable invoice. 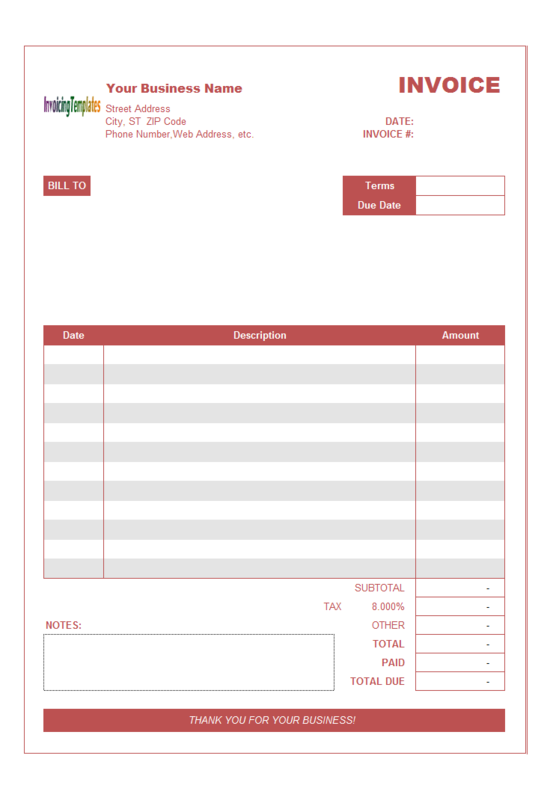 This invoice template provides 3 columns on the invoice form - Date, Description and Amount. The Amount here is a manually fillable field. A notary is a lawyer or person with legal training who is licensed by the government to perform acts in legal affairs, in particular witnessing signatures on documents. The form that the notarial profession takes varies with local legal systems. A notary public (or notary or public notary) of the common law is a public officer constituted by law to serve the public in non-contentious matters usually concerned with estates, deeds, powers-of-attorney, and foreign and international business. As a general rule, on the invoice that you write out for your client, line-item each charge and expense along with each fee for performing a notarial act. Clearly state what each charge, expense and notary fee is for and the amount that you are charging for each item. If your first contact with the client is by phone, provide the same information to him that you will write on the invoice to present to him in person and have him agree to the charges before you provide services as a notary. When you present your invoice to the client, you may wish to have him sign it to show that he agrees with the charges and understands the purpose of each line-itemed charge. Some Notaries provide services that, in addition to authorized notarial acts, include other non-notarial aspects of the job assignment. Or, a notary can incur expenses associated with performing a notarial act. When invoicing a client for notarial services, the notary would like to invoice for any other charges and expenses as well. ALWAYS discuss your fees with the client before you perform any service. It is unwise and could be seen as unethical for you to wait to tell your client about your fees until after your services are performed. Always give clients the chance, up front, to accept or decline your fees. 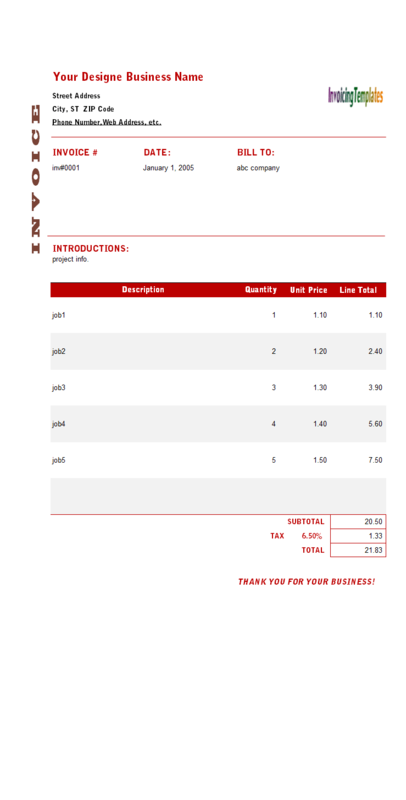 Note that most of the proforma invoicing samples we published here on InvoicingTemplates are offered in two editions - one freeware edition that you can downlaod and use for free; and another edition that should be used with Invoice Manager for Excel (namely Uniform Invoice Software) installed. 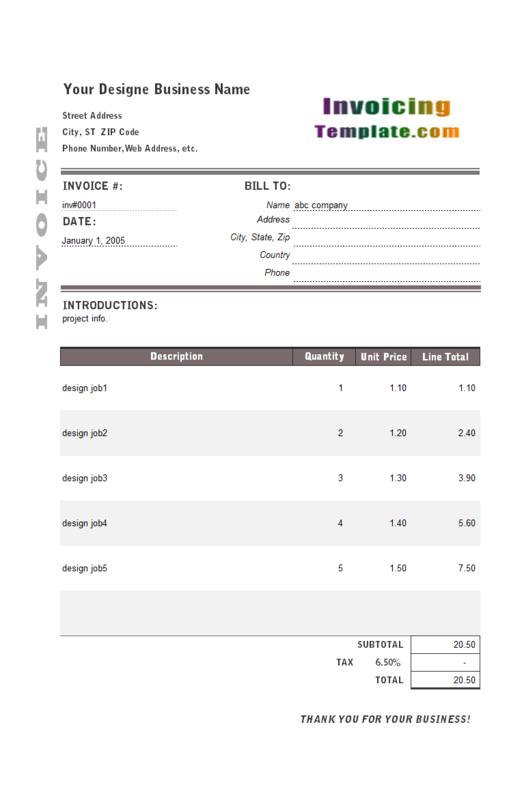 Besides that, a PDF proforma invoice is also available that is editable and fillable with proper programs installed. 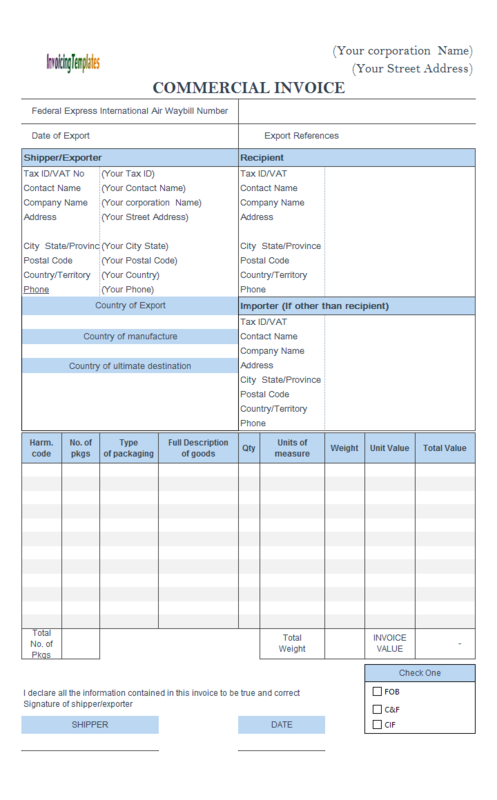 The "ITEM#" column placed on the left-most column of the worksheet is functional if you have Invoice Manager for Excel (namely Uniform Invoice Software) installed. 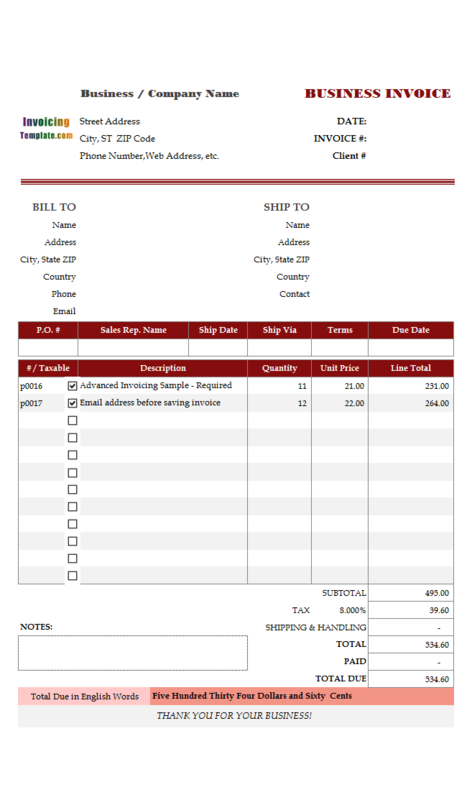 On creating a receipt or invoice, you enter the Item# / SKU# / barcode# into this cell, the corresponding description and unit price is automatically retrieved from the backend database. This saves you time and prevent typo errors. 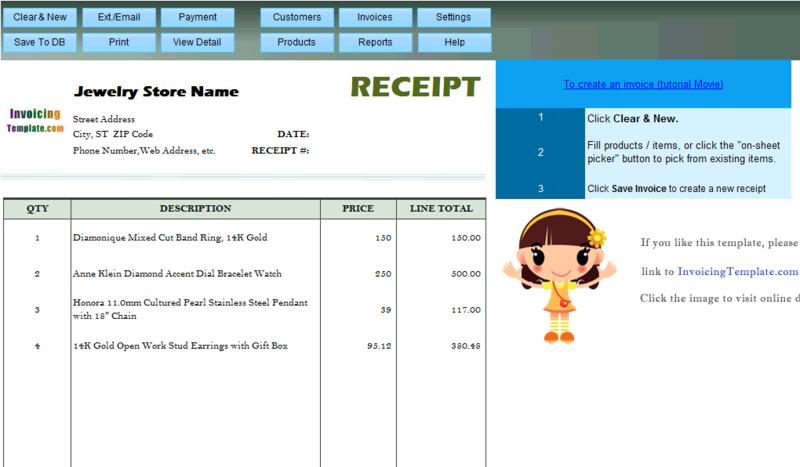 This feature is called "in-cell lookup" in Invoice Manager for Excel (namely Uniform Invoice Software). You can turn this feature on or off on the "In-cell lookup" page of the "Settings" dialog box. 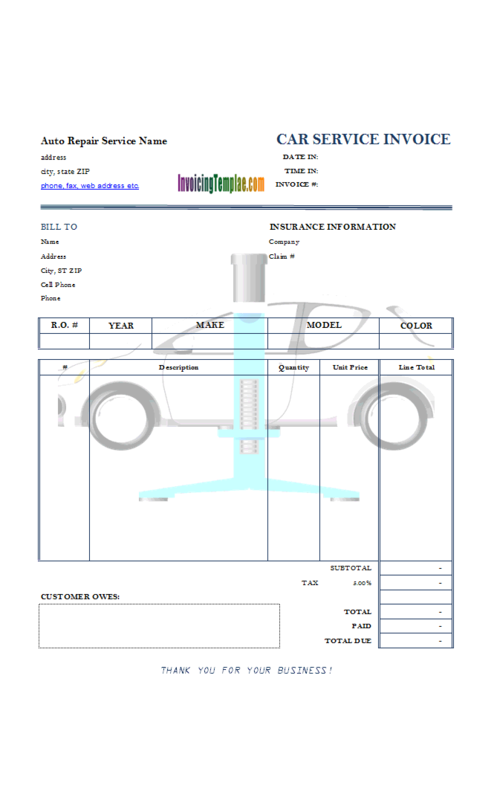 With this new design, Auto Repair Service Invoice with Car Lift Background Image, we keep the useful things like the "Insurance Information" section, the "R.O.#", "Year, "Make", "Model" and "Color" fields. 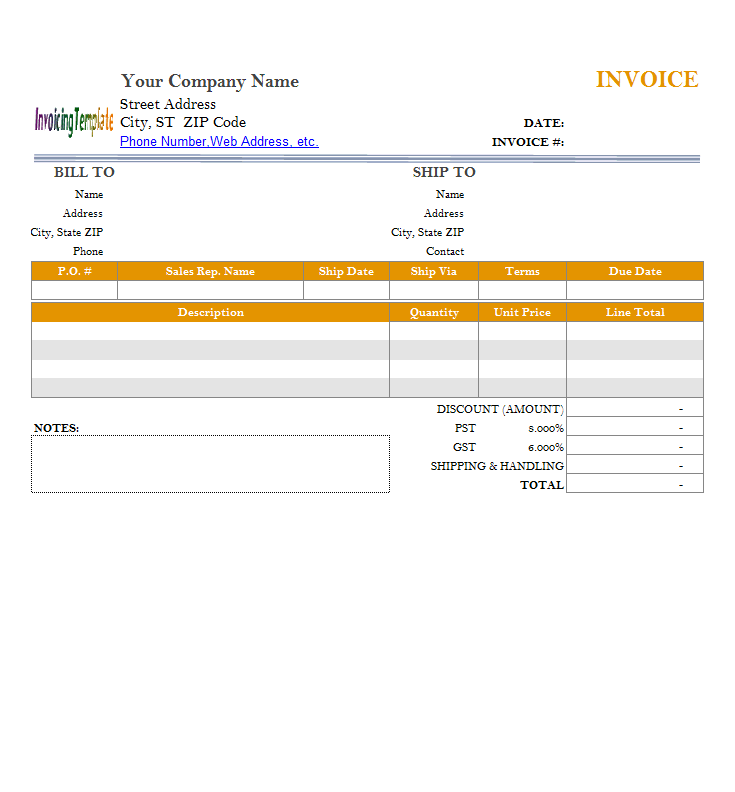 The "Invoice Date" field now has a new label, "Date In". Add new field is also added below it, "Time In". This two fields are useful to auto care services. 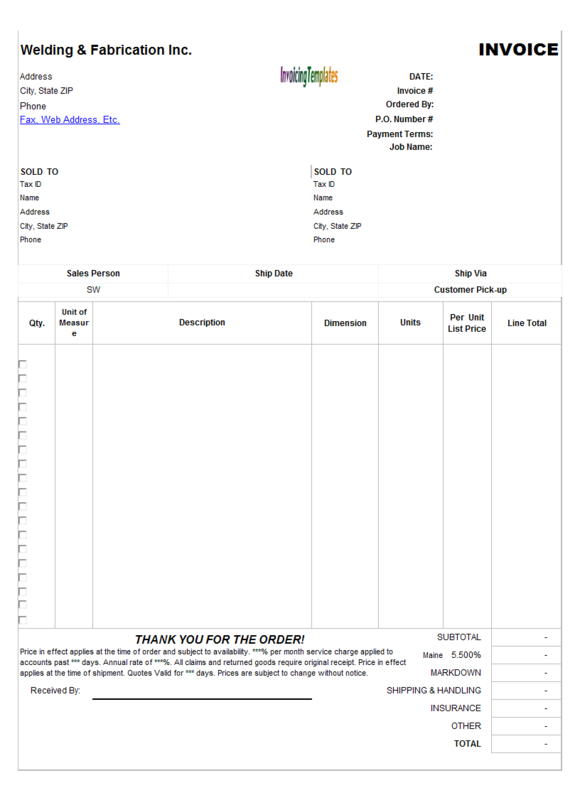 The finished template, including both the freeware edition and the UIS edition, as well as the PDF Job Billing Sample Template, could be downloaded here for free. 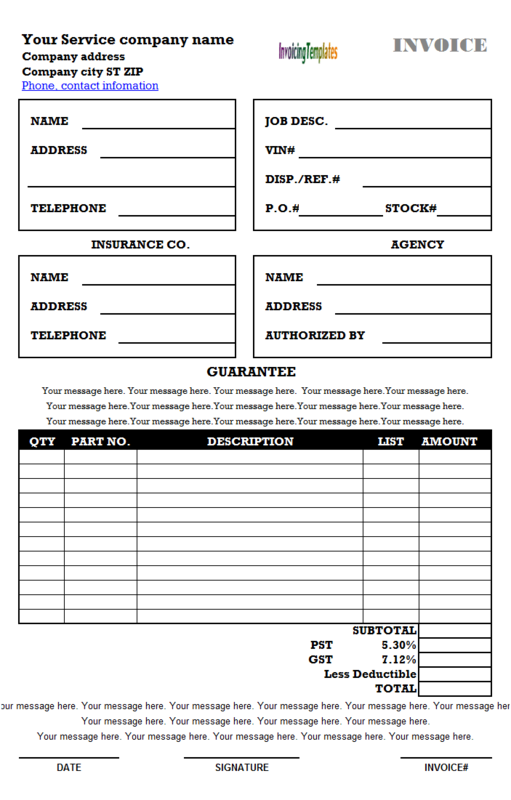 If you are interested in the design details regarding this template, read on. 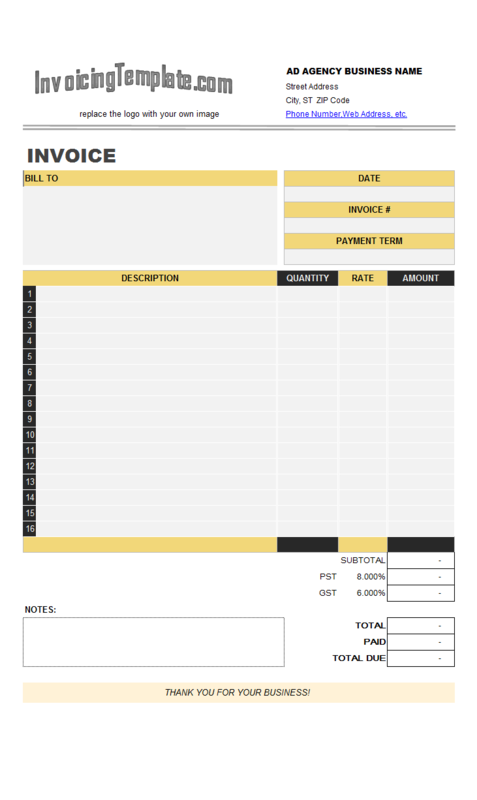 If you are familiar with Microsoft Excel and are interesting in the design details on the template, go on reading; otherwise, go to download rental invoicing sample. 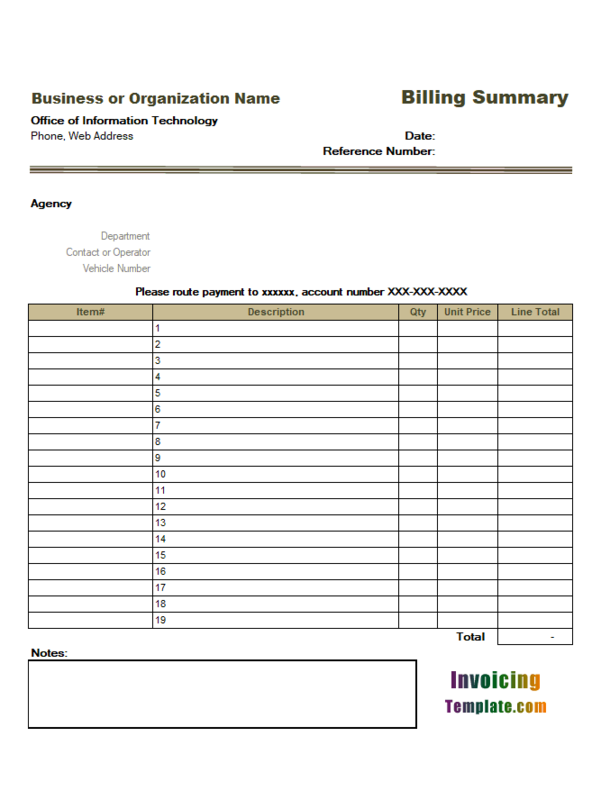 InvoicingTemplate.com offers the template in several formats, please choose the one you like and download it. 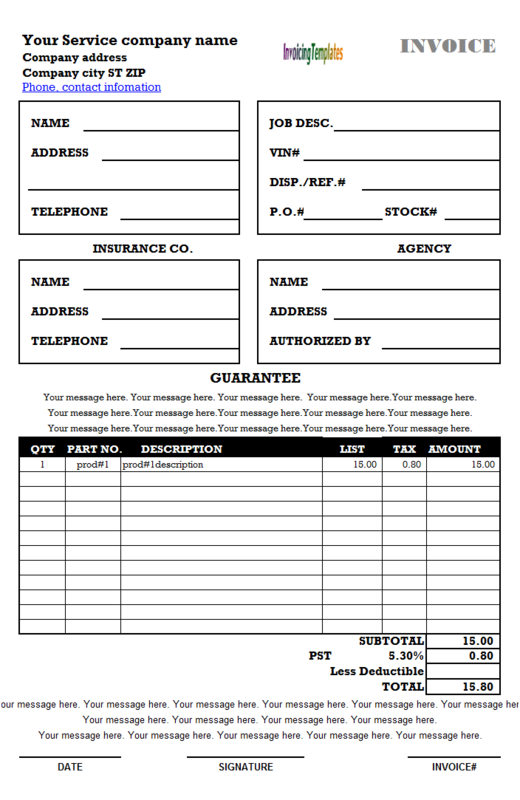 Designer Invoice Template (Gray) or Designer Billing Form (Gray) not only could be used as a web design invoicing form, graphic design invoicing form, web hosting invoicing form, website development invoicing fpr, or freelance design invoicing sample, others such as consultants and contractors could also use it. 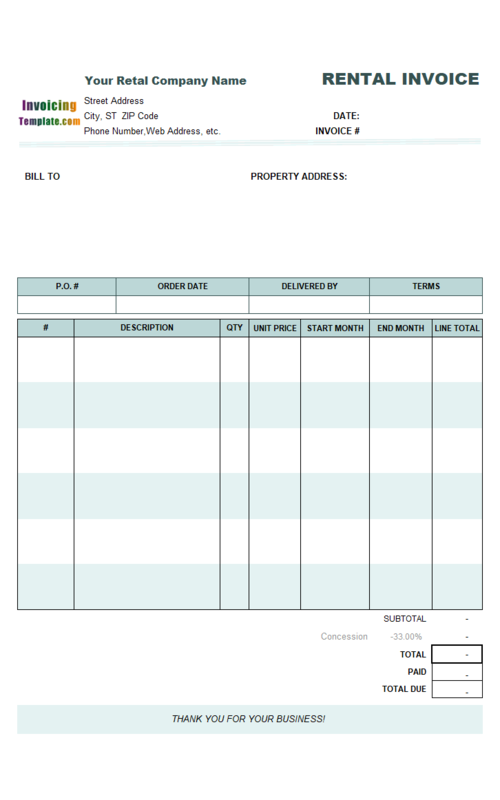 If you prefer blue design, Designer Billing Sample (Blue) or Designer Billing Form (Blue) is the designer bill format you may like.